Teachers and coaches can have a huge influence on the children they work with, including effects on motivation, enjoyment and good sportsmanship. But teaching sportsmanship is sometimes overlooked. How can you teach it to children? Sport is one of the most popular forms of physical activity worldwide. In fact it makes up 55-65% of the daily moderate to vigorous physical activity of children. Plus, teachers are constantly being asked to provide more physical activity in schools. In this context, organised sport and physical education (PE) lessons provide the perfect setting for teaching sportsmanship skills to students and athletes. These techniques for teaching sportsmanship have been adapted from Sport and Character. They can be used when coaching any sport, but are especially beneficial for scholastic settings. Best Practice for Youth Sport details a few different studies that emphasise how important being a good role model is. Young athletes aged 9-15 years admitted engaging in poor sportsmanship as a result of the way their coaches, parents and other spectators acted at a game (Shields, LaVoi, Bredemeier and Power, 2007). On the flip side children can also catch positive values of sportsmanship and moral behaviour. Another study asked youths to define, name and identify characteristics of a hero. Sport figures ranked second behind their parents. Participants cited helping behaviours, caring traits, courage and trustworthiness as heroic qualities (White and O’Brien, 1999). So as a coach or teacher, it’s important to remember your actions speak louder than words. Everything you do has an effect on your students/players. Therefore, you must do everything you can to show your players you’re a good sport. Simply treating opposing players and coaches, officials, team members and the sport with respect is a great place to start. It is also OK to admit to your players/students if you fall short of own sportsmanship ideals. Children can also be taught sportsmanship behaviours through reinforcement. Both good and bad moral behaviour in sport can be positively reinforced in children through rewards. The most obvious way to do this is through praise, respectful behaviour and playing time. Further studies included in Best Practice for Youth Sport found that when coaches and teachers create an atmosphere which prioritises individual improvement over beating others athletes have shown higher levels of sportsmanship (Kavussanu, 2006). The same point holds true for the positive influence of parents and other children. When children between 8-10 years and 13-15 years perceived a supportive environment in sport, they demonstrated greater respect for opponents, rules and officials (d’Arripe-Longueville, Pantaléon and Smith, 2006). When teaching sportsmanship to students/athletes, it’s important that children understand the relationship between success and sportsmanship. Make sure your players or students understand that success isn’t just about winning. Winning without sportsmanship, dignity and honour can feel hollow. At the same time, you can show your players or students how essential respect is. 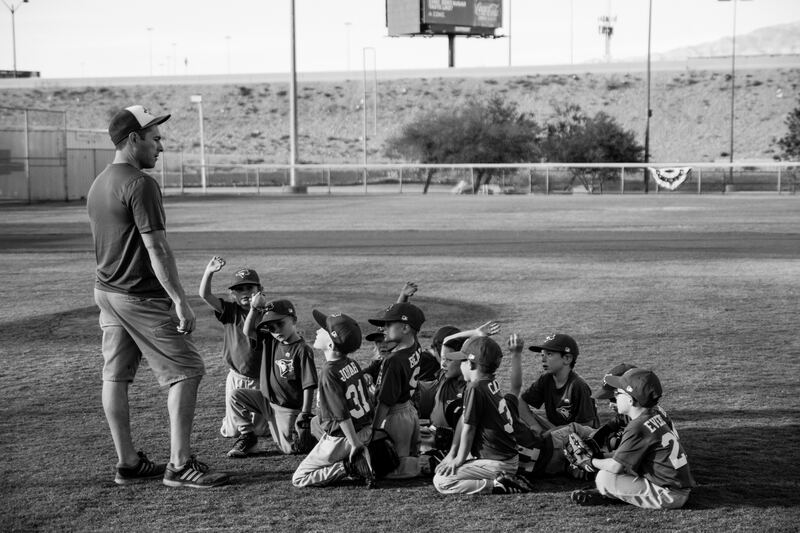 Respect for the team and sport, plus respect between players and the coach can help children develop habits and talents that may improve their chances of winning. A recent journal article in the Journal of Teaching in Physical Education set out to compare the perceptions of teaching sportsmanship amongst teachers and students and coaches and athletes. One of the studies findings suggested that students and athletes are already being taught winning isn’t everything. Children were asked to what extent their coaches or teachers prioritised winning over good sportsmanship. This question reported a low score. It is encouraging to see that youths are already aware that a win-at-all costs mentality is not the emphasis of sport. Although it’s crucial to discuss ideas of sportsmanship, it’s probably more important to be specific about your expectations. Establish specific rules that encourage good sportsmanship. It might be a good idea to list the rules and place them in the context of sportsmanship principles. If you want 100% effort from your students/players at all times, then explain this with reference to respecting opponents, teammates and the game. As much as possible, try to be specific about how you expect your students or players to treat opponents, teammates and others. When the opportunity arises try to develop customs, ideas and rules that promote sportsmanship. These can be as simple as a post match handshake, something which is done in all professional football (soccer) games. Words that relate to sportsmanship should become a regular part of your coaching vocabulary. Don’t leave this language behind after your first team meeting. Your students should hear the language of ‘respect’ on a regular basis. If you earn their respect, the language you use around them becomes a part of their way of thinking. Never underestimate the power of language. Using the right words makes it possible to understand the things we previously didn’t. Most young people playing organised sport are likely to be sports fans. You can use current sporting events as an opportunity for discussing sportsmanship with them. When a famous athlete does something controversial (Maradona’s ‘Hand of God’ at the 1986 World Cup) or admirable (Matthew Rees of Swansea Harriers, carrying a fellow runner over the finish line in the 2017 London Marathon) you can ask your players’ or students’ opinions. Ask them what they would do in that situation, both as a player and as a coach. You can also discuss with them how they would deal these sorts of behaviour. To some extent, it can also help young people see which famous athletes deserve our respect and which don’t. Since you’re trying to encourage your players or students to develop habits of sportsmanship, don’t just reserve this instruction for matches only. You should expect your players or students to follow these principles in practice and lessons also. Expect good behaviour and the habit of showing respect in training sessions and lessons. For further information on the character development of children check out our post called Fun physical education activities for developing social skills. Previous PostSupplements for your brain and body – Which are the best?